Losing to Marseille mid-February left Amiens too close to the bottom of the table. However, since then they are unbeaten, recording two wins and three draws, including the two goalless draws against Angers and Bordeaux in the last two rounds. With these nine points out of possible fifteen, they moved up to 17th in the table, level on points with Monaco and probably safe from relegation. On Saturday, they are welcoming St Etienne who is fifth in the table and fighting for the last European spot. 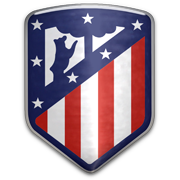 Currently they are a game behind, a game which they will make up mid-week, before travelling to Amiens. They have won only three of the last six games. Amiens should play without too much pressure but a point against St Etienne would be golden. However, they would have to score, and they are fourth worst scoring team in the league as well as the fifth worst defensive side. Visitors should win easily. Born in Saverne, France on Devember 8, 1986, Regis Gurtner began his career at the youth team of FR Haguenau. In 2004 he moved to Strasbourg football academy and four years later he made his first-team debut with La Racing. The 183-cm-tall goalkeeper played 43 games for Strasbourg and in 2011 he signed a deal with fellow Ligue 2 side Boulogne. After making 93 appearances for the club from 2011 to 2014, Regis Gurtner joined Le Havre at the end of the 2013/2014 season, but he played no more than four games for les Ciel et Marine. Gurtner signed for Amiens in 2015 and he established himself as a first-choice goalkeeper for the 2016/2017 Ligue 2 season, keeping 12 clean sheets in 38 appearances in the league for les Licornes. 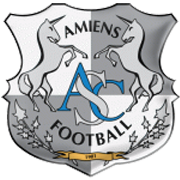 At the end of the season Amiens secured promotion to the French elite division, with the team finishing the campaign in second place in the standings, only one point behind Strasbourg. Saint Etienne are a professional football club that compete in French Ligue 1. Les Verts were founded in 1919 by employees of a grocery store chain based in Saint Etienne. Saint Etienne wear green shirts and white shorts when playing at home ground and they play their home matches at Stade Geoffroy-Guichard. The stadium was opener on 13 September, 1931 and following the renovation the capacity of the venue increased to 42 000. In 1981 les Verts won their tenth Ligue 1 trophy, but they have been in the shadow of Ligue 1 giants Lyon and PSG in the 21st century. Speaking of the club’s European success, Saint Etienne made it to the European Cup (Champions League) final in 1976, but Bundesliga champions Bayern Munich proved to be a big catch for the French outfit. Anyhow, that is regarded as the club’s biggest success. It has to be noted that the likes of Michel Platini, Jacques Santini, Laurent Blanc and Aime Jacquet all played for Saint Etienne in the past.